Nobody has perfect feet. Nobody. We put so much pressure on them with all our walking, shopping, working out, etc., not to mention expecting them to wear horrible footwear that looks great but could be more, um, ergonomic? Sandals in the summer, wool socks in the winter – those dogs of ours are under assault all year, and we have to care for them. They are family, after all! Oh For Feet Sake by Bar Maids can turn your little piggies from a source of shame to a claim to fame in two weeks or less. Those tootsies deserve better. Let Bar Maids give them some love, boys and girls! Infused with Tea Tree oil and natural moisturizers, it’s healing and protection that your feet can feel. 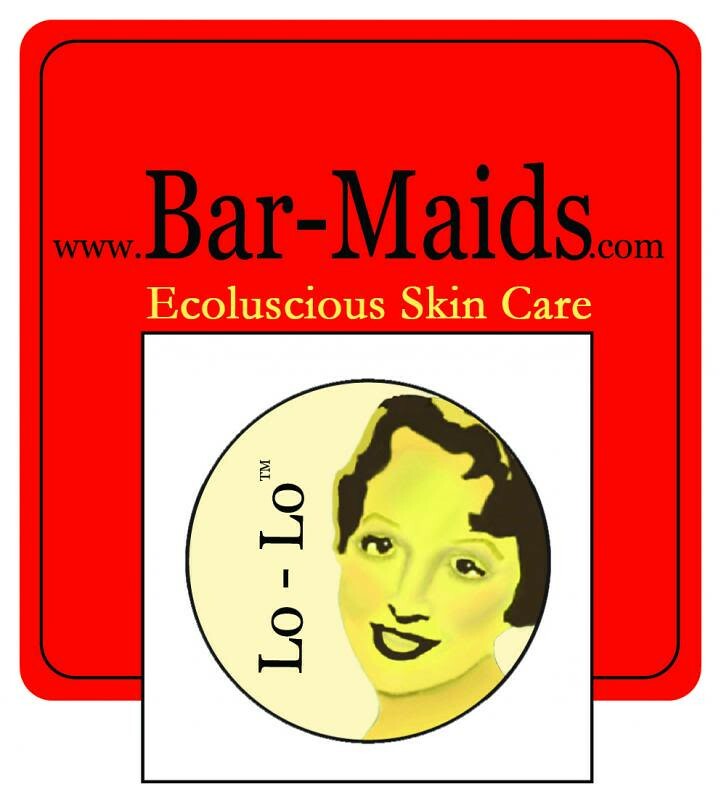 If your trotters are REALLY feeling the strain, go to www.Bar-Maids.com for the simple Bar Maids Tootsie Rx recipe. Show those babies some love and attention, because, let’s be honest, you’re never gonna stop walking all over your feet. Whether you buy entangled magazine for the articles, or just the pictures, you won’t be disappointed! entangled is a bi-monthly digital only magazine designed to satisfy fibre crafters with lush imagery and in-depth articles. Entangled and their writers are passionate about all fibrecraft and sharing their passion with you. entangled is available through zinio.com or itunes app store – check them out, you won’t be disappointed! This week Gigi has knit another preemie hat. Jasmin is working on her Breezy Cardigan out of her handspun. Gigi used Lucy Neatby's Book Cool Socks Warm Feet to refresh her skills on doing a Channel Island cast on. Jasmin is working on the Mini Mondo Cable Cardigan out of Miro by Abstract Yarn. Gigi is working on the border of her Kleio by Rosemary Hill, and Jasmin mentioned that Romi has announced the next series of shawls. We are thinking of what to knit for the Ravellenic Games, Jasmin is thinking of knitting a tiny Arwen Sweater for Genevieve with yarn she bought from A Verb for Keeping Warm, and Gigi is thinking of using her phone app- (raglanify) to knit a raglan. September 3rd, we are planning to attend the Monterey Wool Auction, at the Monterey County Fairgrounds. We announced the winners of the Spring Cleaning Contest! Today we answer a question from the "What do you want to hear about thread" and "What to do with scratchy yarn, and which one is the perfect sweater/cardigan?" This week we purloin : On a Happy Note from Down Cellar Studio. Jasmin mentions Live365, and the new cast of Evita with Ricky Martin. Gigi's happy note is home made Aztec Chocolate ice cream made from The Perfect Scoop by David Lebovitz and the Cuisinart Ice Cream Maker . This week we review The BurdaStyle Sewing Handbook by Nora Abousteit with Alison Kelly. Gigi is working with her Jenkins Lark Turkish drop spindle and we mention the Turkish delight, and spinning fiber from Crown Mountain Farms. Her SPAKAL spinning is coming along nicely. Jasmin is making tracks on her spinning with the Rambouillet cross. She mentions Down Cellar Studio's photography tips. Love the photo and the episode. Enjoying having you back to weekly. Thank you. I also get the error - not found message. Link has been fixed! Sorry for the inconvenience. Hey! Newish listener here. I am one of the contributors to the Burdastyle Handbook. I made the black and white polka dot skirt. Burdastyle.com is social network but the projects in the book are not derived from the projects on the website. Contributors were approached to work on variations in advance of the book. Naturally I wasn't allowed to share details of the project before it was published. Also, about seamless patterns... having no seams makes modification much easier, which is part of the point of the Handbook. Make all your design modifications and then add seam allowances as you cut. I don't even bother to add seam allowances to my traced pattern, but that is a matter of personal preference.